Posted by Xenor Vernix on Apr 19, 2019 - 11:10. We’re pleased to announce that a collection of popular Stormblood music is now available on the iTunes Store and Amazon! Enjoy melodies that are sure to stir fond memories of your adventures in Stormblood! * From the Heavens is only available in the full album and is not available as an individual purchase. Posted by Xenor Vernix on Apr 16, 2019 - 11:30. The thirteenth season of the Feast will commence on Tuesday April 23, when Patch 4.57 goes live. Top ranking players will receive special rewards, so keep an eye out on the rankings page to see who claws their way to the top! Initial Season Thirteen PvP ratings are determined by the Pre-season tier placement. * If you do not log in during the pre-season, your tier and ranking will be reset. Posted by Xenor Vernix on Apr 15, 2019 - 22:42. 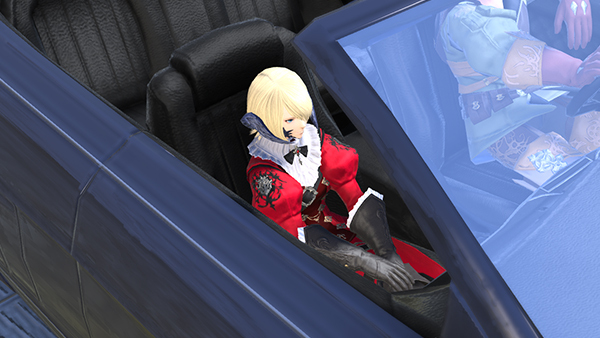 Ridrina here from the NA community team, ready to buckle up for FINAL FANTASY XIV'S latest collaboration event, "A Nocturne for Heroes" which begins tomorrow! 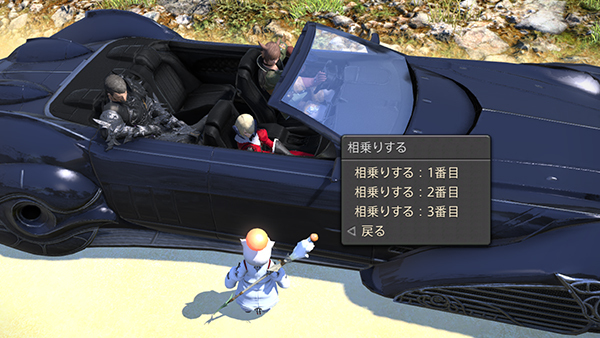 FFXV's protagonist Noctis will appear during the collaboration event, as well as Magitek Soldiers and Magitek Armor. The Warrior of Light will also be faced with the version of Garuda that appeared in FFXV's event! 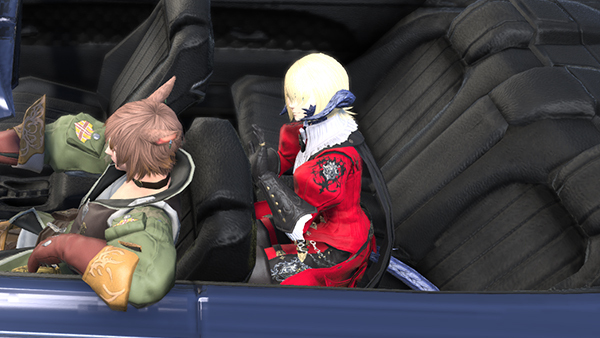 How did Noctis end up in Eorzea anyway? How did we end up battling against Garuda? You'll find this out and more by following the collaboration storyline! As previously announced, you will be able to obtain a number of iconic rewards from this event, including Noctis's attire, hairstyle and FFXV themed orchestrion rolls. 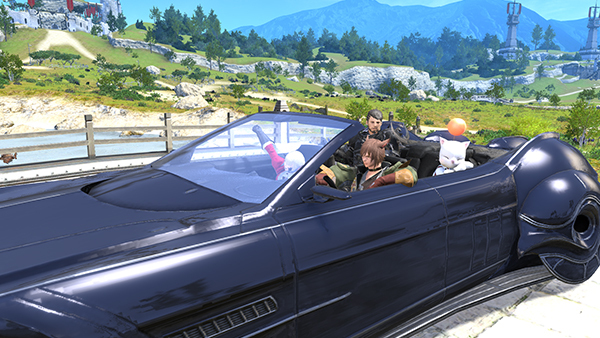 And how could we forget, the highly anticipated 4-person mount, the Regalia! We'd like to take the time to highlight all the detail that went into the Regalia. 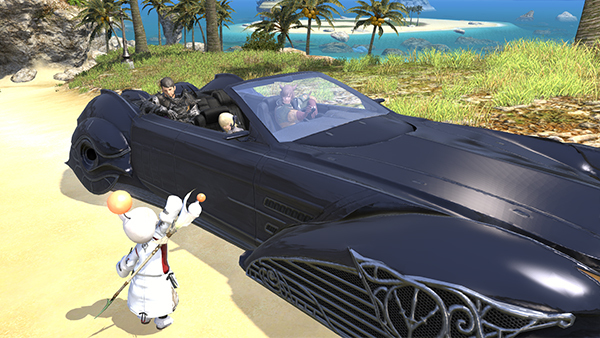 The Regalia mount will be the first 4-player mount to be introduced in FFXIV! Similarly to 2-player mounts, you can ride together in a party member's Regalia mount by targeting them and selecting the "Mount" sub-command. You can pick which of the three seats you would like to sit in when mounting! And don't worry, your choice counts for any day of the week, not just Friday. 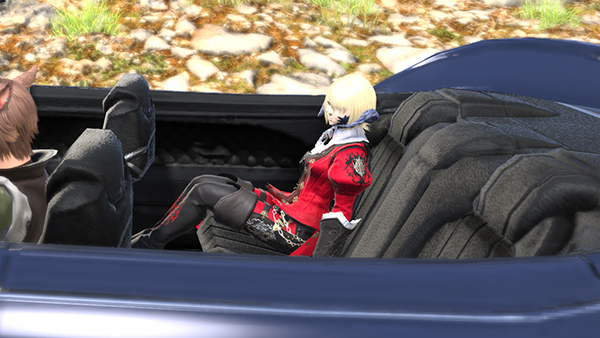 Another cool feature of the Regalia mount is that your sitting pose will change depending on which seat you ride in. Let's take a look at the female Au Ra poses as an example! Kickin' in the front seat, sittin' in the backseat, which is your favorite? These certainly open up many possibilities for screenshots and group pose! Of course, you will also be able to fly while riding with your companions! 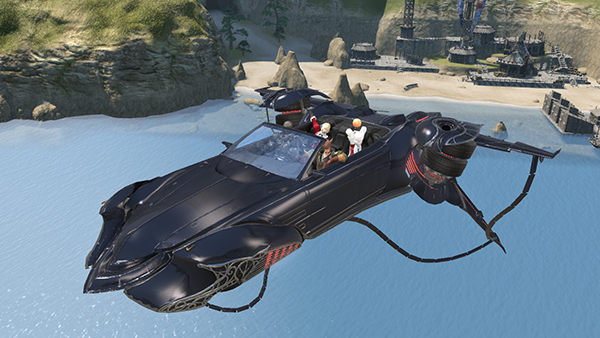 The Regalia even changes form while flying, I definitely see some Magitek flair! 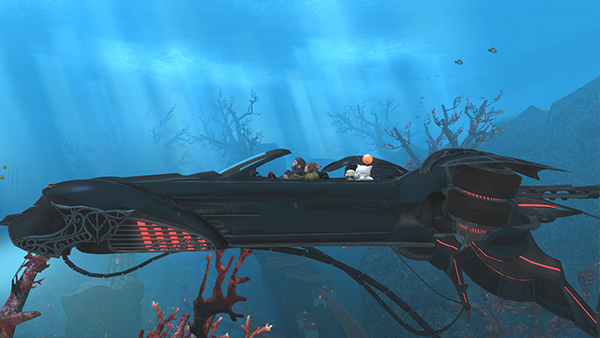 You can even go underwater! Don't worry, I'm sure the interior is water-proof. 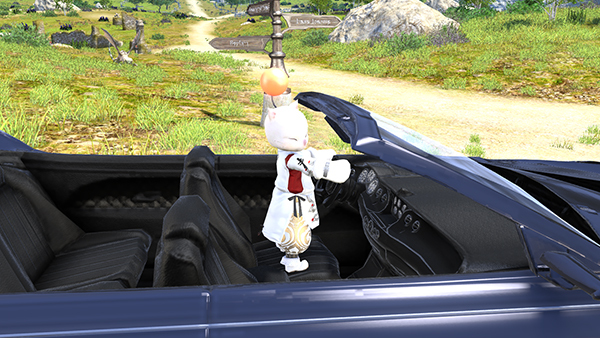 Oh, and for those of you who may be concerned whether a Lalafell would be able to drive safely or not.. They stand up on the seat. There shouldn't be any problems...right? Wait, can he see through that Moogle head?! 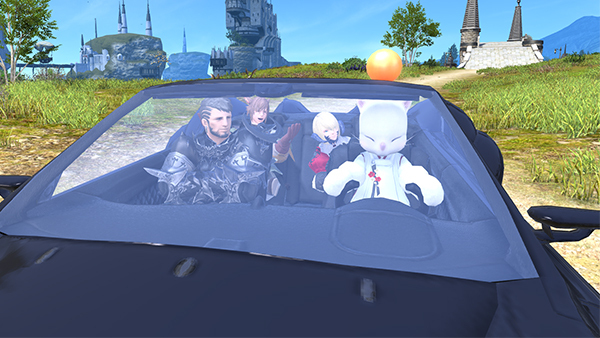 We hope that you enjoy cruisin' around Eorzea alongside your friends! But whether you believe that or not is up to you. Please look forward to it! Be sure to check out the event site for all the details! Posted by Xenor Vernix on Apr 15, 2019 - 09:00. The maintenance schedule and free World Transfer period associated with the upcoming expansion of the North American data center has been finalized. In addition, we would like to share several important points regarding cross-world features that will be affected due to the redistribution of Worlds.